After one and a half year, VIXX is set to return to Singapore with a larger scale and better show. With their powerful song releases and charismatic dance moves, VIXX continues to dominate both the fans and music charts, shining more than ever on stage. This December, get ready to party with the boys at their Shangri-La Concert in Singapore! 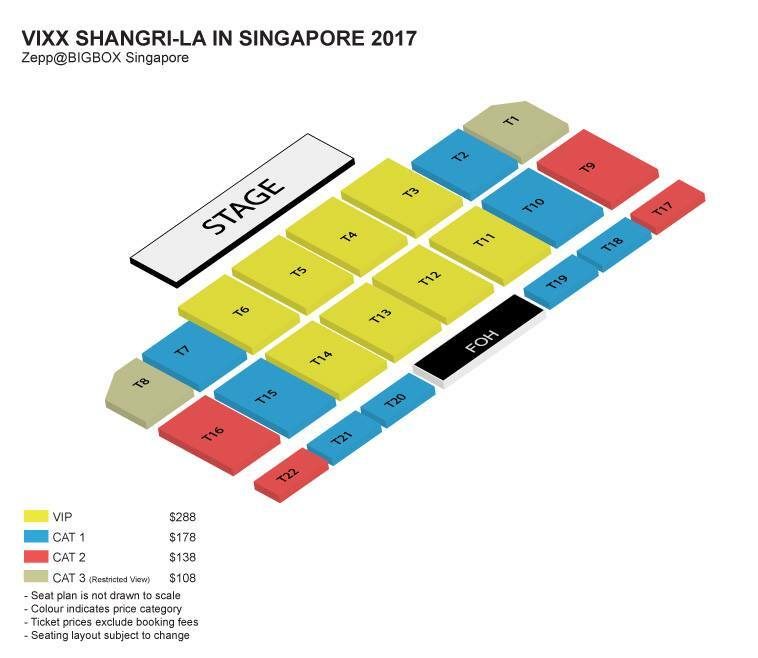 Tickets will go on sale on 28 October, 10am onwards via APACtix website, hotline (+65 3158 8588) as well as all SingPost outlets. Update on 10 Nov: All VIP ticket holders will be entitled to either a hi-touch session or group photo-op (15 fans per group) with VIXX! Cat 1 ticket holders will be enrolled into a lucky draw to win sound check rehearsal passes (200 winners) to catch the boys up-close and personal. 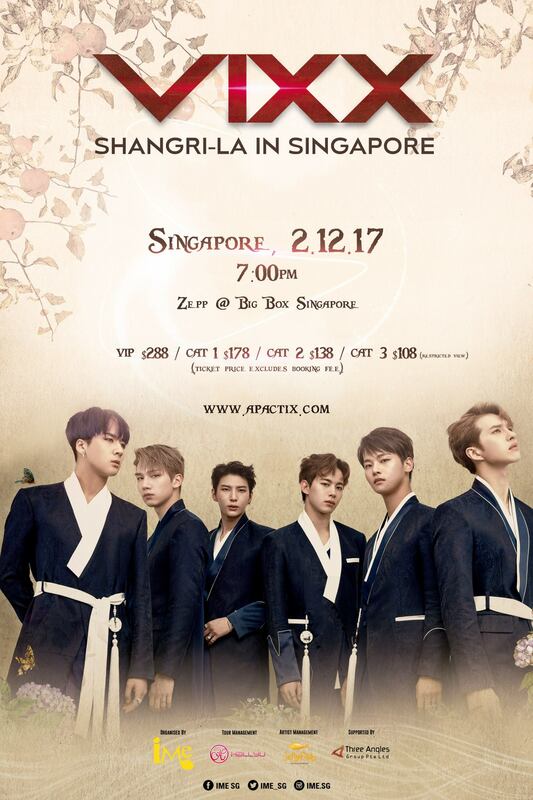 Purchase any category of tickets and receive a VIXX Shangri-La Singapore 2017 Exclusive Message Card as well as a lucky draw chance to win an autographed poster of VIXX! Be sure to stay tuned to our social media for the latest updates on this show!